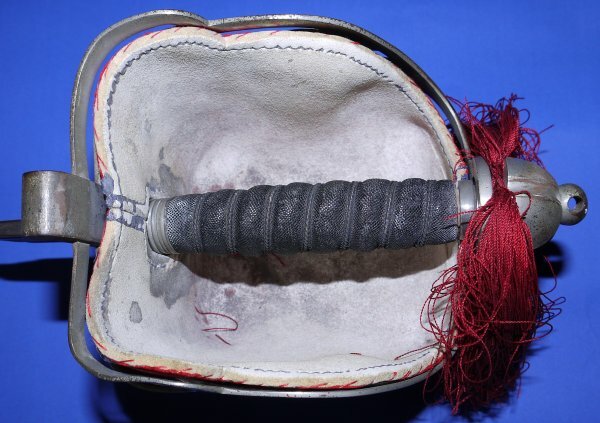 In overall good condition, the sword of 2nd Lieut. 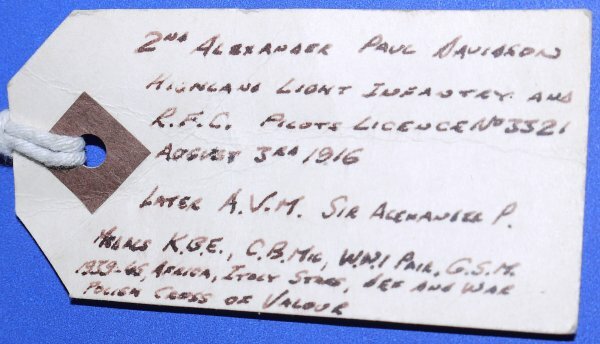 Alexander Paul Davidson of the Highland Light Infantry, seconded to the Royal Flying Corps, who went on to be knighted and become Air Vice Marshal. Alexander Paul Davidson, born 26th July 1894, died 24th January 1971 had a career with the British Royal Flying Corps and then Royal Air Force that surely can not be equaled (click here). The 32 1/4 inch blade is good but with patina patches. Blade firm in the hilt. 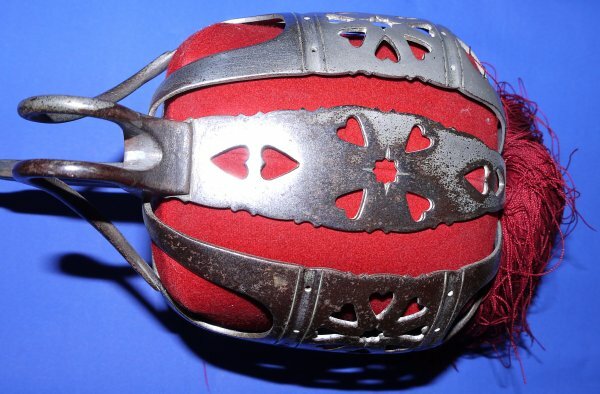 The hilt with losses to original plating and with tarnish / patina spots. The fishskin grip worn but good, as are the twisted grip wire bindings. Crimson tassel possibly a replacement is good. Hilt liner sound but has lost the Royal Blue edgings. Leather field service scabbard aged but good, the plated metal chape with many inert rust spots. 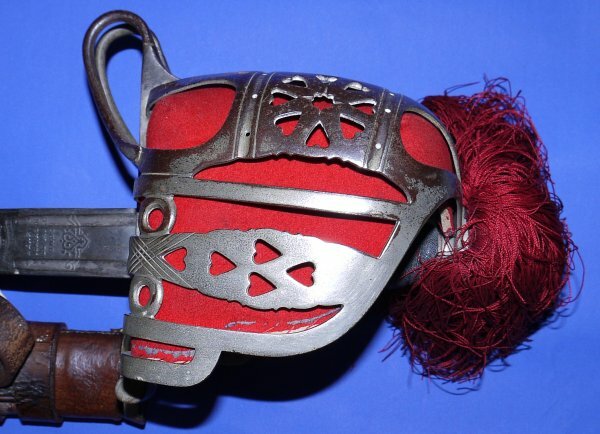 The sword sheathes and draws well but not fully as the blade / scabbard washer is missing. 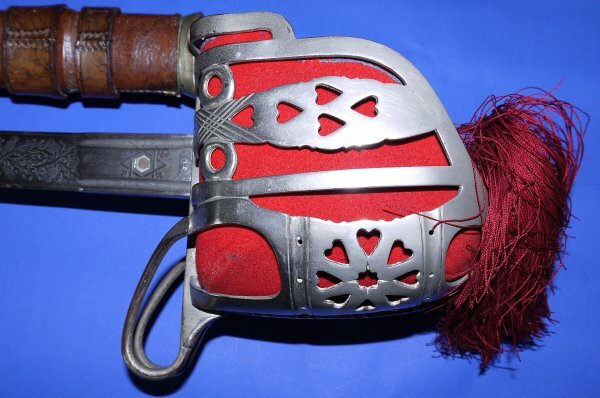 We are certain this is Sir Alexander Paul Davidson's sword; the tag is clearly of the early 70's or before. 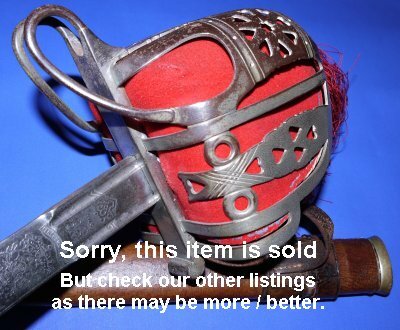 If we had the Wilkinson sales ledger entry to confirm this, the sword would value at three times what we are asking. Grab it quick; £? (too late, now sold) . Please quote item reference S31 (0617). Further / full sized images available upon request.